Whiplash chiropractic reminds us how much pain and disability stems from roads. Our profession is well placed to treat many of the victims of motor vehicle accidents. There are 3 million whiplashes in the USA each year from motor vehicle accidents alone. Of course, similar trauma to the spine can occur in many other ways too. Numerous studies, done from 6 months to 15 years after a motor vehicle collision injury, reveal that between 40 and 50 percent of victims have permanent pain for the rest of their lives. Whiplash is a very significant phenomenon, not only in financial terms but obviously in human suffering. Today, I have a tragically sad update; three weeks ago a young woman and her two small children had dinner with us. Today she is dead; a head on collision, and one of the children is seriously injured. The roads in South Africa have the awesome trophy of the most dangerous roads in the whole world. In 2014, it is projected that 17,000 will die, 150,000 will be injured and the there will be 9,000 paralysed people from accidents on South African roads. The World Health Organisation global road safety report of 2007 states that an estimated 1.3 million people world wide die per year in road accidents, many of which would experience cervical acceleration deceleration, or CAD, trauma. These statistics are quite difficult to interpret, as there are many other factors to be considered. For example, number of registered vehicles, miles traveled, public transport etc. Whiplash chiropractic is a powerful tool for managing many but obviously not all injuries resulting from car accidents. The lower cervical facet anatomy is particularly vulnerable. For example, the Netherlands has an advanced system of rail and bus travel. It also has the highest petrol price in the world, after Zimbabwe. If we conservatively assume that 90 percent of whiplash cases survive the accident, that would mean that the USA has about 420 000 people per year added annually to those suffering the effects of whiplash. In South Africa there would be over 100 000 new sufferers from the affects of motor vehicle accidents every year. Which ever way one wishes to interpret these figures it is clear that, if 40 percent of those people who survive whiplash motor vehicle accidents have lasting symptoms, there remains huge scope for chiropractic management of the symptoms of whiplash. So, what is whiplash then? 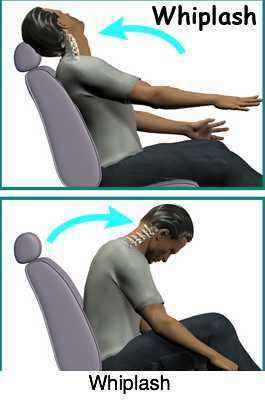 In a rear end collision, one part of the spine, say the torso, is forced forwards by the seat, while another, usually the neck lags behind. Thus different parts of the spine are moving in different directions at the same moment. These sheer forces on the spine result in injuries to the ligaments and joints, the nerves and a pressure wave build up in the cerebral spinal fluid. Interestingly, magnetic resonance scans done on victims who died in motor vehicle accidents were often negative, but autopsies revealed that many of them had bleeding and microfractures in the tissues, that could not be seen on scans. Magnetic resonance imaging is a wonderful tool, but it too has limitations. There is no substitute for a thorough physical examination of the whiplash patient. Likewise, conventional xrays are often insensitive to whiplash injuries, showing little or no change. They are not a useful tool in ruling out whether a whiplash has occurred or not. Neither are they useful in predicting the future onset of osteoarthritis that frequently follows whiplash. The literature shows that the most common injury sites are the neck, back, the shoulders and the knees. In an important study, reported in the New England Journal of Medicine, researchers showed that treatment of the facet joints not only relieved severe neck pain, but also resolved the psychological disturbances associated with car accidents. Update: Over the six-week Christmas festive season 2018/2019, the provisional South African road-death fatalities is 1,465, expected to be upped to 1,612. Confirming South Africa's status as the "road-accident capital" of the world. 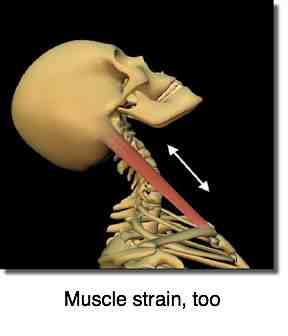 So, the symptoms of whiplash go far beyond neck pain. Most serious is the far distant inevitability of Joint of Luschka arthritis and ensuing arm pain. Whiplash doesn't only happen in car accidents, of course. It may be found in many shapes and sizes. Falls from horses is one of the more serious causes of whiplash, and skating too. Research is particularly revealing. In medical circles it is often assumed that the effect of whiplash is grossly exaggerated and controversial. 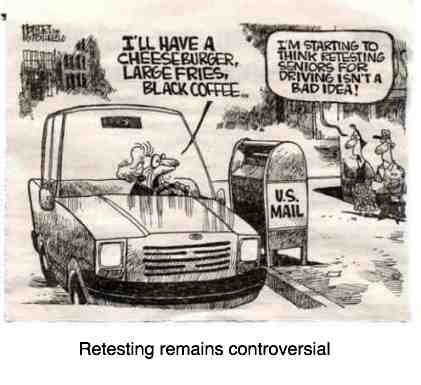 Investigators however indicate that the controversy is largely manufactured. It is propagated both by those who benefit from whiplash and by insurance companies who minimise its importance. Those who are simply uninformed and misinformed about whiplash research simply add to the confusion. What then is the role of the chiropractor? We are trained to treat joint, muscle and ligament injuries, and thus are well placed to manage the victims of motor vehicle accidents. Their primary role is to keep the facet joints mobilized, enhance optimal healing by treating muscles and ligaments, and reducing the likelihood of permanent pain. Good nutrition is also a part of whiplash chiropractic. The tiny so-called joints of Luschka are particularly vulnerable. Any injury to them causes sharp spurs to invade the foramen where the nerve is emerging on it's way to the arm (and the diaphragm, amongst other things). Read more about gelatine powder for arthritis. One not infrequent consequence of whiplash is that the discomfort can become so bad that victims begin to manipule their own necks. Apart from being highly dangerous from a stroke, an almost inevitable result is that one of the nerve roots becomes traumatised with ensuing arm pain. Self manipulation is a totally negative form of self help, and that's not sour grapes because of lost business. The uncovertebral joint Luschka is injured. 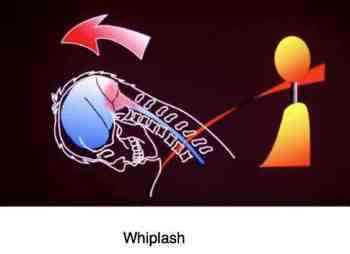 For more information about whiplash research click here. Thereafter, chiropractors encourage patients to start exercises and stretches, as this fits well with their philosophy of health care, to reduce the likelihood of permanent pain following crashes. Chiropractic is ideally suited for managing these whiplash chiropractic cases as the DC is trained in these approaches, and getting the patient back to normal activities of daily living as soon as possible. Anti inflammatory omega 3 is another power tool to be used in the management of the anger in muscles and joints. What is certain is that the citizens of countries like the USA and South Africa suffer terrible consequences of weak-kneed politicians who do not have the will to make sure that the road laws are rigidly enforced. Five and a half years ago, I was in a severe car accident that shattered my L1 vertebrae. I had surgery, where the pieces were removed and built with a titanium cage. I also have a steel rod down my spine with four finger-size screws holding it in place. I've had severe pain since the accident, but recently, it seems to be worse. On top of the injury, I've been having shoulder problems, which I think could be from a pinched nerve. SO my question is, with all of the metal in my back and the cage around my L1, is it safe for me to see a Chiropractor??? Yes, it certainly is safe to see a chiropractor, but I would take care to find someone who is experienced, methodical and thorough, and who will give your case the time it deserves. Talk to friends and neighbours and perhaps your doctor. L1 is the area where the Femoral nerve originates, passing down through the groin to the side and front of your leg. If you start to get groin back, think L1 first. Type "Femoral nerve" into the Search this Site at C-h, you'll find quite a lot of material. It's also the area that can set up a "Maignes syndrome", a facet syndrome from T12/L1. Chiropractors have a number of gentle techniques that can be used in the treatment of old fractures. Heavy manipulation of L1 would obviouly be inadvisable, but it may well be that your pain is coming from elsewhere, say L4, in which very specific manipulation would not be unsafe. Many shoulder problems we see in the practice come from an old injury of the neck. In a bad MVA it is not unlikely that your neck was affected. You might start with "Maignes syndrome exercises" and "Frozen shoulder exercises" (again use the Search facillity at C-H), though the usual advice is examination first, diagnosis, and only then treatment. 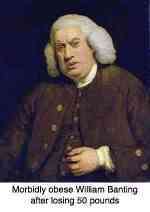 But they are quite gentle, done sensibly are unlikely to aggravate your problem. Good luck, let me know in a few months how you get on. Whilst there are exceptions that prove the rule, the very worst scenario in an MVA is to be thrown out of the car, through the windscreen, the back window, or the flung-open door. That's when the really serious head and spinal cord injuries happen. Seatbelts are not as confining as wheelchairs. Take a look at this fun video: Embrace Life - always wear your seatbelt. The Easter four-day weekend is traditionally a time of carnage on the roads; with the full moon bringing rain and cold, many folk are killed or maimed. 2015 was no exception with 287 dead and about 25,000 people seriously injured. The economic cost to society is vast. Add to that the personal suffering of bereaved families and one realises the magnitude of the problem of largely unpoliced roads. Add to that unlicenced drivers, unroadworthy vehicles, speeding and alcohol and you have a massive problem. As chiropractors we cry out for prevention; most of those who survive have life-long pain ahead. Sometimes the degenerative changes that develop after whiplash are so severe that the bony spurs start to affect the spinal cord itself. This can produce symptoms and signs at remote sites. This cervical stenosis case file illustrates how a weak ankle that sprains repeatedly may be caused by degenerative change in the neck. This cervical stenosis case file illustrates how a weak ankle that sprains repeatedly may be caused by degenerative change in the neck. It's a complex subject, so here's more spinal stenosis explanation. The majority of motor accidents are caused not by driving incompetence, but by someone willfully breaking of the road laws. Speed, crossing an intersection on orange, alcohol, exhaustion... retesting has little value in such cases. Prosecution, perhaps severe fines including suspension of licence and confiscation of the vehicle are more appropriate. Whilst the elderly do obviously become less competent on the roads, in the main they know not to drive in peak traffic and after nightfall. And they drive more slowly. Having just insured my new car, it's interesting that the rates have fallen significantly that I am a "bejaarde". A senior. I believe we have to have very good reasons to suspend the elderly driver's license. The loss of independence will often be a death sentence. With road deaths over the summer holiday period 2018/2019 amounting to 1 612 fatalities in just six weeks, the worst in the world, the carnage on our roads is reckoned to be valued at more than three billion rand, double the market value of one of our largest banks. We pay a very heavy price for the gross incompetence of the road traffic inspectorate. Good business for Whiplash Chiropractic, but in my experience it's mostly difficult, time-consuming and unsatisfying. You can never cure a patient who has had a serious motor vehicle accident. No one can.